Prime features of this bill is that it seeks to proper health-care, treatment and rehabilitation of mentally ill persons . The Parliament passed the ‘Mental Health-care Bill’ in the Lok Sabha that decriminalises suicide attempt by mentally ill people and provides services for people with mental illness. One of the provisions of the bill is that it restore property right of mentally ill persons. 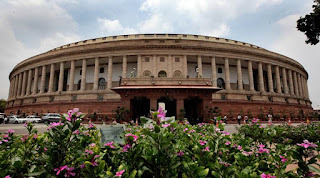 The bill said, “Notwithstanding anything contained in section 309 of the Indian Penal Code, any person who attempts to commit suicide shall be presumed, unless proved otherwise, to have severe stress and shall not be tried and punished under the said Code.” The bill was previously passed in the Rajya Sabha in August last year with 134 official amendments. 2. Advance Directive: This provision empowers a mentally-ill person to have the right to make an advance directive that explains how she/he wants to be treated for the requisite illness and who her/his nominated representative shall be. This directive has to be vetted by a medical practitioner. 3. Mental Health Establishments: This provision states that every mental health establishment has to be registered with the respective Central or State Mental Health Authority. For registration, the concerned establishment needs to fulfill different criteria as mentioned in the Bill. 4. The bill also outlines the procedure and process for admission, treatment and subsequent discharge of mentally ill persons. 5. Mental Health Review Commission and Board: This is a quasi-judicial body responsible for reviewing procedure for making advance directives. It will also advise the government on the protection of mentally ill persons’ rights. It further states that the body in agreement with the state governments constitute Mental Health Review Boards in states’ districts. 6. Decriminalising suicide and prohibiting electro-convulsive therapy: The most notable of all is this provision effectively decriminalises suicide attempt under the Indian Penal Code by mentally ill persons by making it non-punishable. Electro-convulsive therapy, which is allowed only with the use of anaesthesia, is however out of bounds for minors.